Videos: Dare them not to appoint you. Board Direction, is Australia's leading non executive career development firm. No one has had the success we have had in putting people on boards. 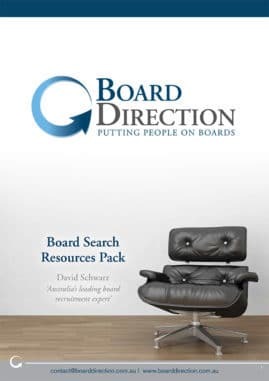 I am David Schwarz, CEO of Board Direction. I know that what we do works - I help people get on boards!